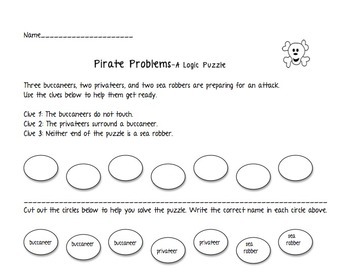 This is a logical thinking problem about pirates. I have provided manipulatives that can be cut out and used to help solve the problem. This is a beginning logic puzzle, about 2nd grade level. Enjoy! !